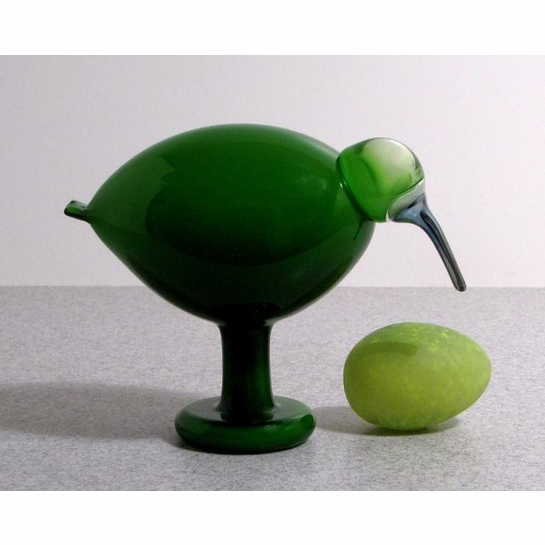 More about iittala Toikka Green Ibis The ever popular Toikka Ibis design returns for 2010. The iittala Toikka Green Ibis is the latest edition to Oiva Toikka’s extremely popular collection of ibis birds from iittala. The stunning green coloring is laid over a milky white glass base to add interesting depth to a simple coloring. The signature beak of the Green Ibis is crafted of an appealing mirrored grey-blue glass to complete the balanced form of this bird.The 2010 collection of birds by Oiva Toikka are individually mouth-blown by the master glassblowers at iittala's glassworks shop. 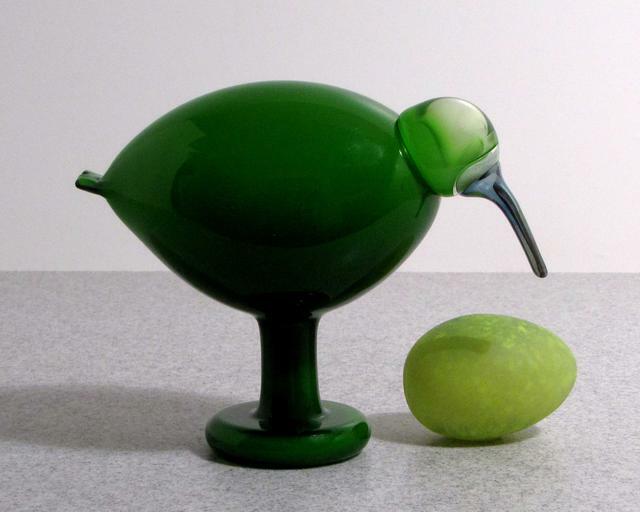 Each handcrafted iittala Toikka Green Ibis carries the signature "O. Toikka" on its base to ensure its authenticity. The 2010 Green Ibis (Vihreä Ibis) in Finnish is one of Toikka's more popular birds. Collectors love the pedestal leg and downward beak, especially in this stunning emerald. The color is laid over a milky white glass base to add interesting depth to the body.